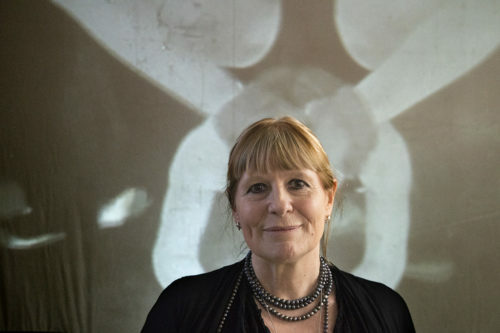 Susan Aldworth’s exhibition The Dark Self was inspired by her research into sleep during her three year residency at the University of York working with neuroscientist Professor Miles Whittington and art historian Professor Michael White. 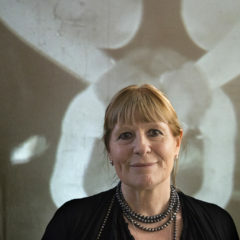 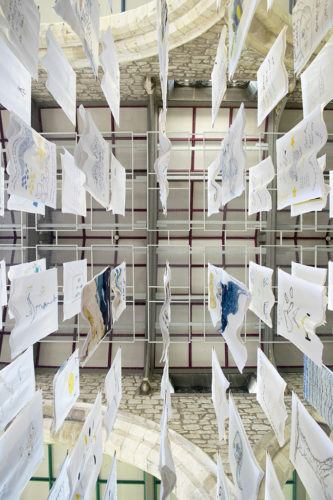 Aldworth has long been fascinated by the relationship of the brain to our sense of self as witnessed in her exhibitions The Portrait Anatomised, National Portrait Gallery, London 2013, Reassembling the Self, Hatton Gallery, Newcastle 2012 and Scribing the Soul, Transition Gallery, London 2010. 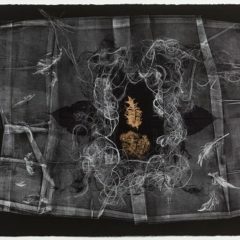 Her suite of prints, Transience, marked the first time etchings had been made from the imprint of human brain tissue and were shown in Realisation at the Fitzwilliam Museum in 2017. 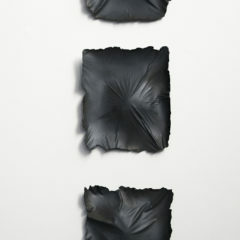 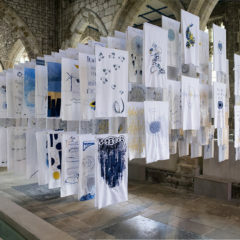 Sleep provides Aldworth with a rich new theme in her investigations into what it means to be human. 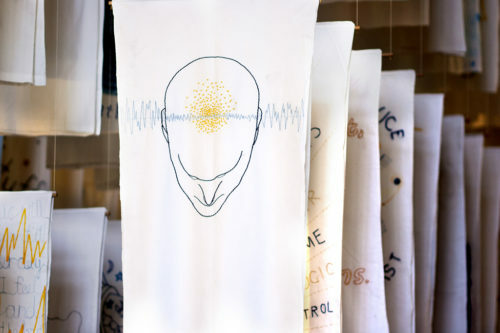 We spend a third of our lives asleep and for most of that that time we are completely unaware of ourselves and our surroundings; we are unconscious in deep sleep, and paralysed when dreaming. 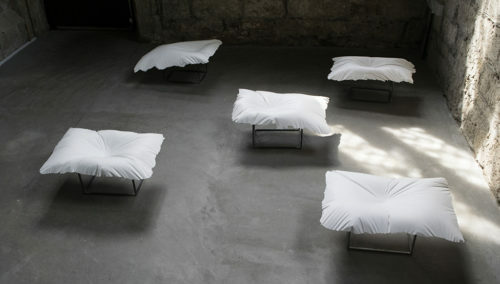 Perhaps this is why philosophers have written so little about sleep, treating it rather as a negative experience, whereas science has shown that in deep sleep our brains are just as active as when we are awake. 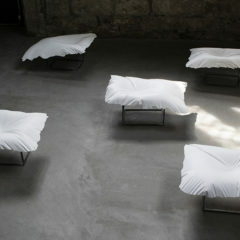 Artists have long considered sleep a resource for their creativity but this has been primarily in connection to dreaming. 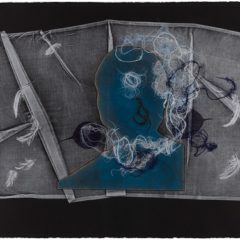 However, Aldworth is interested in exploring the unconscious, subjective experience of sleep and confronting the viewer with ideas about this absent, dark self. 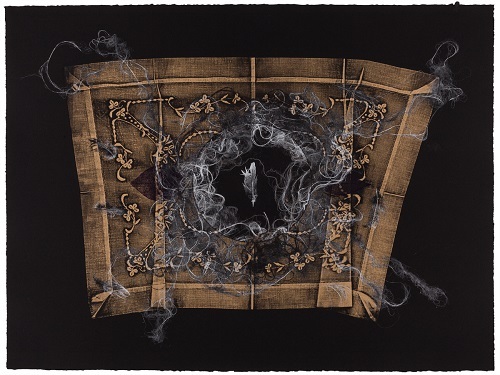 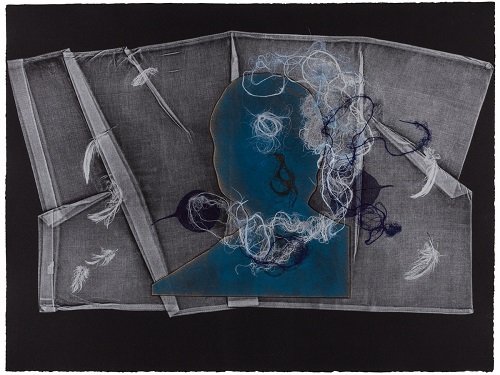 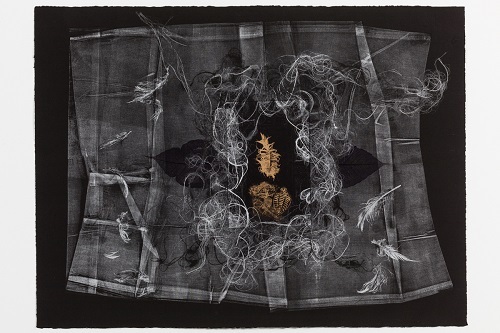 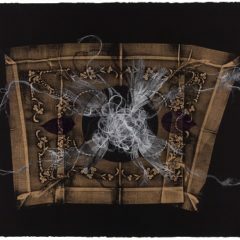 In The Dark Self Aldworth uses the pillowcase as a visual metaphor for sleep, and it is a recurring motif. The exhibition at York St Mary’s will focus on different interpretations of sleep reflecting the complexity of the subject. 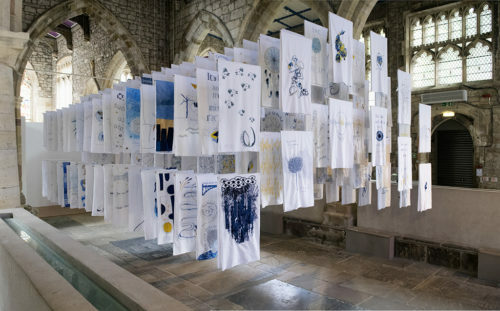 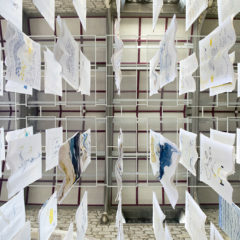 You will be immersed in the installation – One Thousand and One Nights – which will consist of hundreds of embroidered pillowcases sewn by people from all over the UK – prisoners, schoolchildren, craft groups and students from the Royal School of Needlework as well as many members of the public. 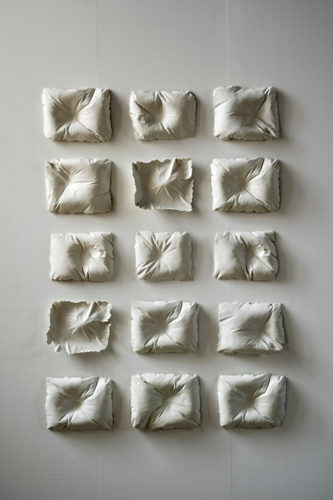 You will also find a series of porcelain and plaster sculptures – The Evidence of Sleep – where the artist has captured the indentation left by the sleeper on the pillow: a manifestation of the unconscious nothingness of sleep. 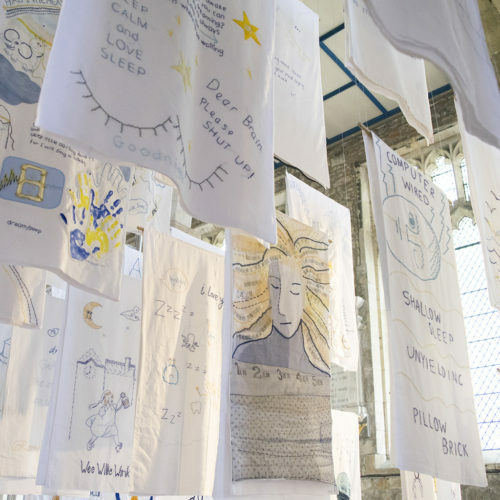 Visitors to the exhibition will also experience Dormez-Vous?, a moving image work which begins with a baby sleeping on a breathing pillow. 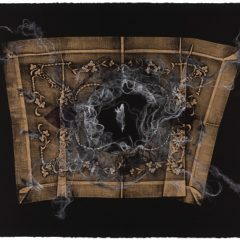 It goes on to explore the different stages of sleep in a series of dreamlike vignettes. 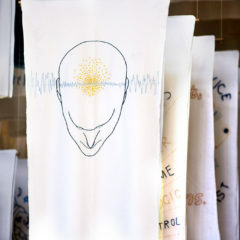 The soundtrack by Barney Quinton is based on recordings of his sleeping brain. 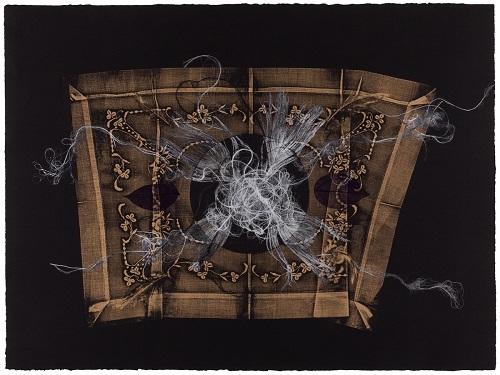 Finally, The Dark Self and Golden Slumbers are three suites of monoprints with gold and silver pillowcases printed onto black paper which provides a “nothingness” against which Aldworth creates portals for the sleeper to fall through into sleep. 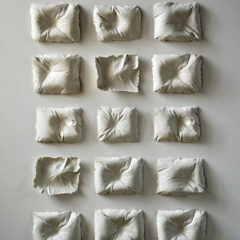 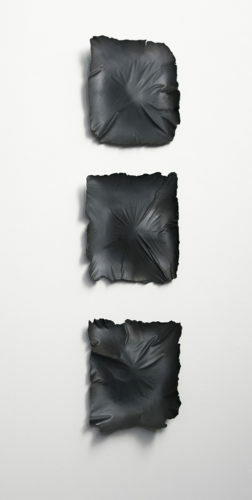 She also uses the ephemeral imprint of human hair to suggest the sweep of sleep across the pillowcase.